Eduardo Saverin may save huge amounts in U.S. taxes with Singapore as his home. Not everyone is happy. Singapore’s next billionaire has upset the strategic heart of capitalism. Eduardo Saverin, who owns a four percent stake in Facebook, is renouncing his U.S. citizenship, lodged the required paperwork to make Singapore his new home and is no doubt scouting the island-state for the right bankers. All this comes as Facebook readies itself for a an IPO that will potentially value it at about $100 billion, which will add several more billion dollars to Saverin’s personal coffers and expose him to an unwanted U.S. tax bill from the income earned on future stock sales. Singapore, his new home, likes rich people, and there’s no capital gains tax there. Tax, and those who avoid it, is a sensitive subject on Main Street, USA. And the likes of Saverin have the good ’ol boys a tad upset. At 13, Saverin’s name was discovered on a gangster’s list of potential kidnap targets in his native Brazil. His family fled north. 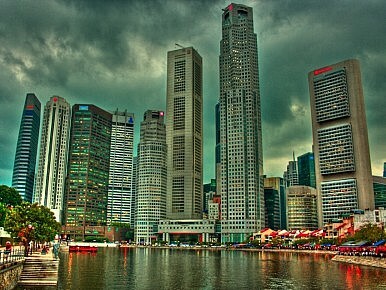 Saverin’s “people” have argued that the decision to move permanently to Singapore was more of a business opportunity than a tax dodge. Such gratuitous thinking in regards to one’s citizenship will only further fuel anger among ordinary taxpayers who helped bail out Wall Street following its collapse. The now 30-year-old, who was played by Andrew Garfield in the award winning movie Social Network, has lived in Singapore since 2009 and with citizenship he will become one of Southeast Asia’s richest people with the sanctity of an all important Singapore bank account. Singapore citizenship will also allow Saverin to circumvent recently passed U.S. laws – the Foreign Account Tax Compliance Act – that make it exceedingly difficult for Americans to open banks accounts abroad. As a result, bankers, stock brokers, government bureaucrats and their ilk will no doubt be chaffing at the bit. After all this is what the Singapore government wants, namely gazillionaires to live in their shimmering glass and steel skyscrapers. However, how popular the decision proves among ordinary Singaporeans – who have to contend with late trains and an exorbitant supermarket bill – is another matter. In Singapore, the person on the street is voting with his feet, and the two biggest social issues confronting the government are the wealth gap dividing the rich and poor and an influx of foreign workers. Saverin’s citizenship is unlikely to help in either department.